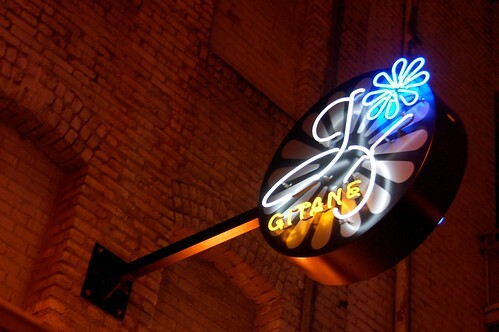 We had one of the best meals we've had in San Francisco in recent memory at Gitane, an Iberian-peninsula-inspired tapas place in a dark alley. 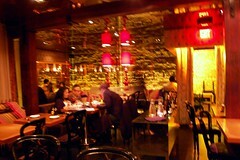 The restaurant is small, dark, and cramped, but you will love it. 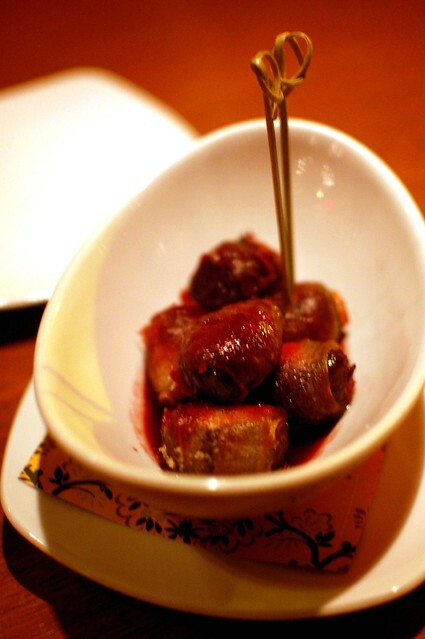 Bacon bonbons -- prunes stuffed with goat cheese, wrapped in smoked bacon, spiced port glaze ($10). These sounded so promising, but they weren't actually that tasty. I was worried that we were going to have a bad meal. 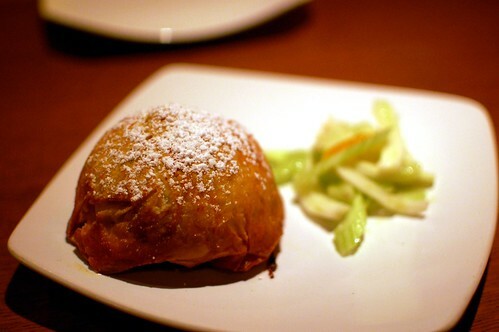 Bastilla -- sweet and savory pastry with chicken, spiced almonds, apricot fennel salad ($13). Yes! 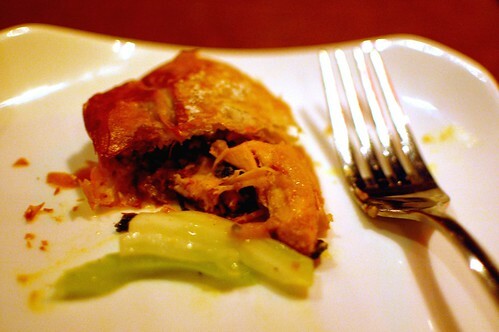 Hot and flaky! Salty and sweet! 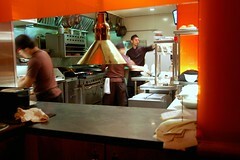 From this point on, our meal was superb. Calamares stuffed with bacon and onion, manzanilla olives, cherry tomatoes, heirloom potatoes ($16). Astounding. 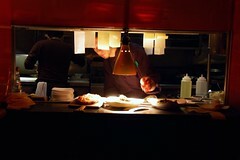 Our party of three all agreed that this was the star dish of the night. 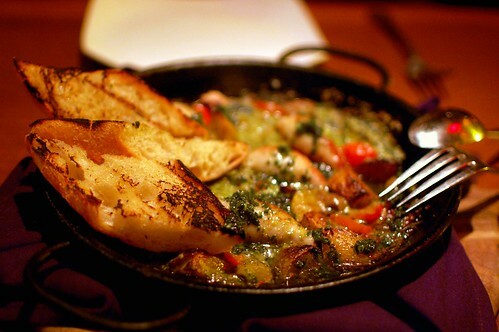 Even though garlic is not mentioned in the menu description, this skillet was a garlic lover's dream. Super flavorful. Super delicious. 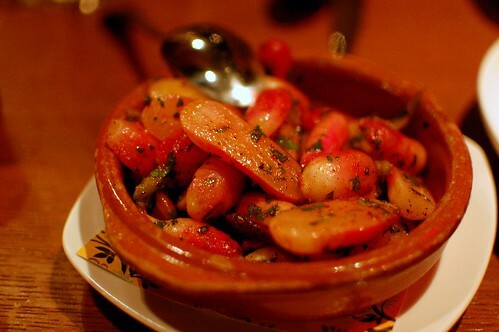 Rabanetes -- sauteed radishes, harissa butter ($7). A tangy, crunchy, refreshing contrast to our entrees. 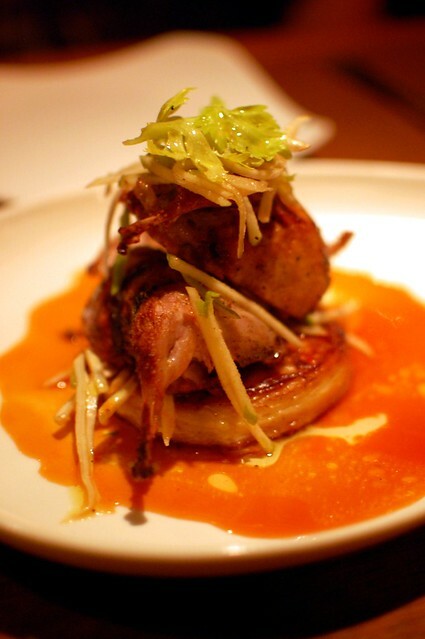 Caille -- Tolenas Farm quail, chorizo apple stuffing, celery root gratin and cider jus ($28). Fabulous! Tender, juicy, and luscious! 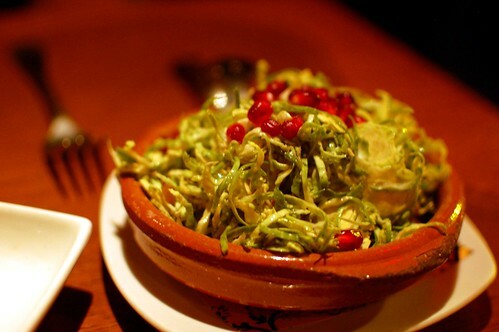 Bruxelas -- Brussels sprouts, golden raisins, pomegranate, brown sugar sherry vinaigrette ($7). Another great contrasting side. Shredded yumminess with tart pomegranate pops. 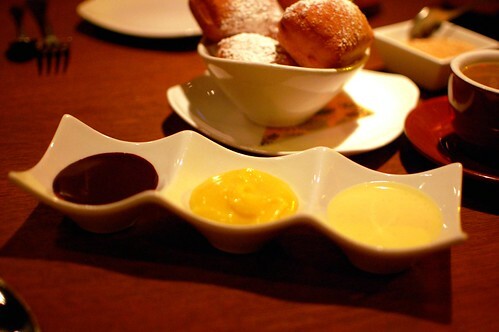 Beignets with melted chocolate, naughty cream, and seasonal fruit preserves ($7). 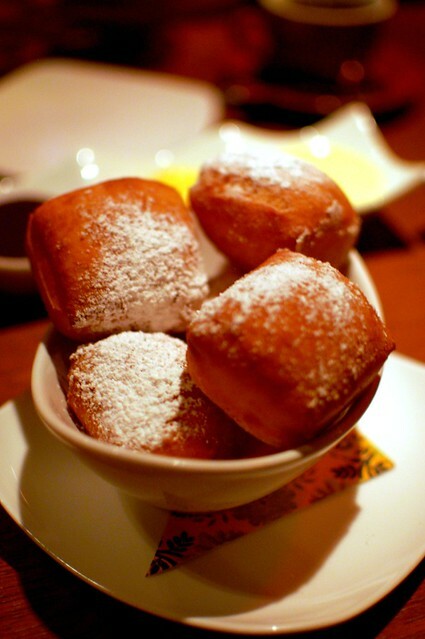 A far cry from the glory that is Cafe du Monde, but the lovely dipping options made up for this. I was big fan of the naughty cream, which was basically vanilla bean cream. 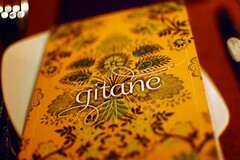 I definitely want to come back to Gitane to sample more of its interesting menu. Lucky for me, Mr. Monkey feels the same. 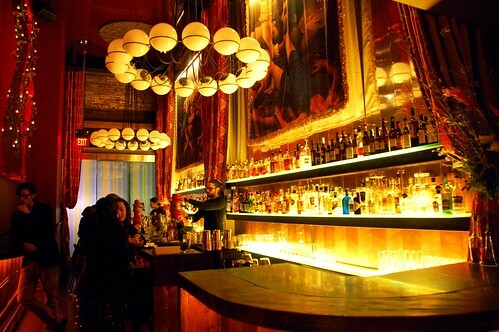 i would love to shake that bon bon. into my mouth.